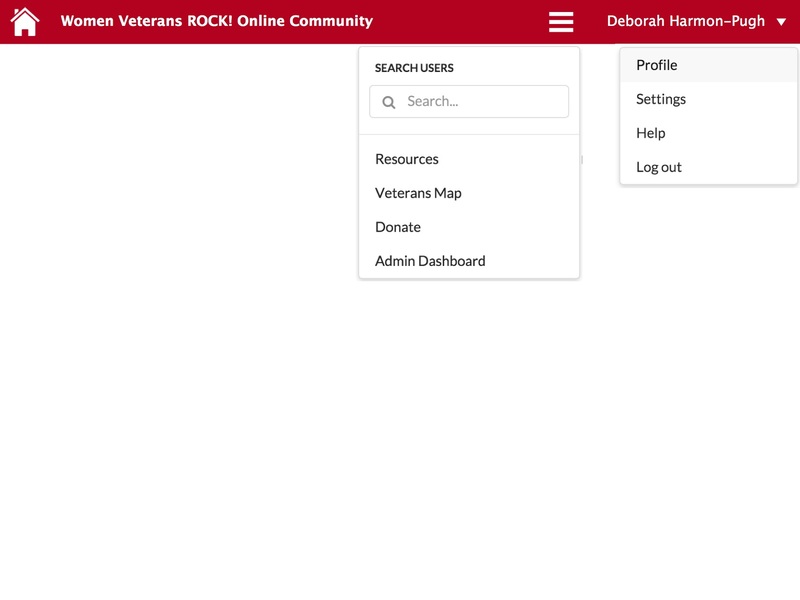 The web application will allow military women (defined as any women connected to the military, through veteran status, spouse, or family) to register for an account. 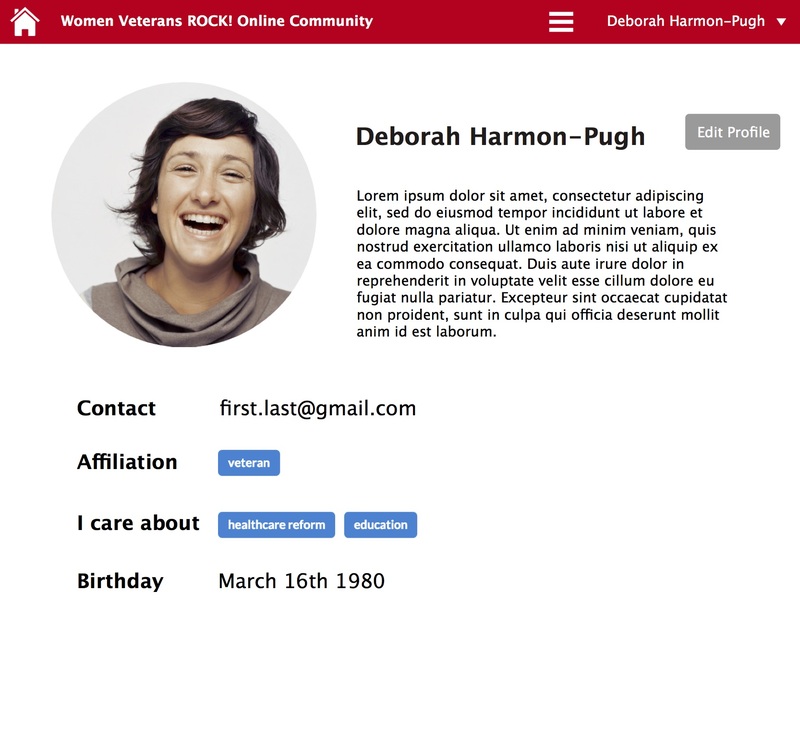 The app will display user profiles and allow searching through user profiles. There will be a map that will display how many users live in each town or city. There will be a map with local resources. 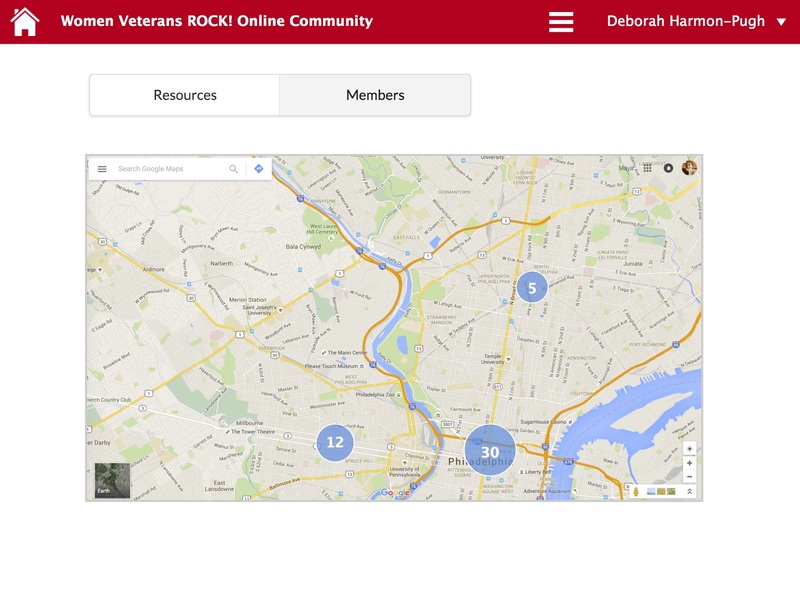 Users will be able to review resources and list new ones. There will be a way for users to donate. One technical challenge was displaying the number of resources for a region in the map. At different levels of zoon, the map had to show different numbers of resources for a specific region.